Thanks so much Iva! You are absolutely right that everywhere we turn you hear about abuse. With farmers only making up 2% of the population it is hard to try and correct the information. But we need to keep trying. Go Wanda! That was a great read. Just because you raise your livestock well and as humanely as possible it does not mean the cruelty recorded on the videos does not happen. Obviously, they do, hence the evidence before your eyes. And when the result of a cultural decision is that a certain number of living beings are tortured, we should absolutely focus on that few rather than the whole, because our responsibility as human beings is to correct our wrong doings, not pat ourselves on the backs for the few things we do right. Thank you for commenting. And I agree with you that abuse is unacceptable and we should do what we can to stop it. Unfortunately, the article gives the impression that this is the norm – hence the title, “Animal Cruelty is the Price we Pay for Cheap Meat”. WHen I read that title, it sure makes me think cruelty is the norm in raising hogs and it is not. That is why I responded. Actually I do thinks those farmers that are doing things correct deserve a pat on the back! If this were a good journalist writing a commendable article all sides of the topic would have been displayed, but I suppose adding a sentence or two that showed some appreciation for herdsman that respect their animals and their careers as a way of life wouldn’t have left the same feeling of disgust for readers like you who they aim to further brainwash with biased views and facts. The article does include a farm that respects their animals. It is at the end of the article and offers a gleaming sliver of light for those of us who are disgusted by the behavior of big agriculture and corporate farms. I have to ask what your definition of corporate farms is. Our farm is a corporation because of the business benefits of corporation, but at the same time we are a small hog farm. Again, 96% of all farms are family farms. @n.camus – here’s how it is done. http://dairycarrie.com/2013/12/09/cowabuse/ I find a couple of things very interesting. One, the obvious coordination of videos released at the same time as the RS hysterical hyperbole. Coincidence? Nah. Another thing to wonder about is why these videos need editing, and why the witnesses with the cameras didn’t stop the abuse immediately, are they that cold hearted? Will we ever know if these undercover filmers actually created the abuse, encouraged it? Of course not, there are no witnesses to the witnesses, and it’s the word of a liar over the owner of the farm. Animal cruelty is against the law, and failure to report a crime happening right in front of you is illegal. Don’t bother to respond, this is a rhetorical question. What is clear is that these public relations media events are aimed at fund raising through manipulation of the public who hasn’t been on a farm since a field trip in the third grade and easily believe these false impressions. These shock-u-mentaries are never about the animals, they are all about money, power and political influence, otherwise the video would have been turned over to Law Enforcement and the farm owner, not to the media first. These groups don’t care at all about the animals except as an easy way to open our wallets.The irony is that the many volunteers for these groups AND the victims of their propaganda actually DO care about the welfare of animals, we love animals, and that is why these videos, Hollywood films, and fake journalism reports work so well for their leadership. And why do you think these groups don’t release the entire film to law enforcement? Could it be because their real target is the customers of these farms? They don’t seem to be interested in going after the guilty parties. It is obvious that they intend to destroy these farms AND embarrass and damage the larger corporations who purchase these products. A minimum wage farm worker who comes from a culture where animal abuse is common, who may or may not have been encouraged to act out, and who may not speak English well doesn’t make much of a victim for extorsion and emotional blackmail in quite the same way. And please, I’d like to know the definition of “factory” farm – is it size, number of animals, number of employees, type of barn, gross income, level of technology, or all of the above? I am reasonably intelligent, but I admit this totally confuses me. I agree with you. And I would like to know constitutes a factory farm also. So 96% of hog farms are family farms….that may be a fact. There’s certainly many family farms out there who do not abuse their animals. But are your aware that the majority of meat an dairy products sold do NOT come from a family farm? According to the Worldwatch Institute, as of 2006 74 percent of the world’s poultry, 43 percent of beef, and 68 percent of eggs were produced by factory farms. So the vast majority of people are getting their meat and dairy from factory farms. Due to the fact that family farms produce their product in a more “humane” way, they can’t produce enough to keep up with demand….hence the reason for factory farms existence. Again, same question. How do you know the difference between a “factory” farm and a family farm? Of course there is no actual definition – rhetorical question again. This term is used specifically by animal rights groups using the media to leave an impression of coldness, lack of human caring, lack of empathy and emotion, as if the barns were hard cold “factories” turning out inanimate machine parts rather than cute little piglets, an image that is easily understood by city folks who haven’t been on a modern farm, maybe ever. The same media trick is used against dog breeders in order to paint a picture of greed, abuse, neglect, squalor and “deplorable conditions” as if these conditions were standard for the enterprise. The epithet is used to shut down the breeding of dogs, because animal rights means that human rights are secondary to animals’, that breeding is “exploitation” and “enslavement”. The lack of a definition in this case too, has been overlooked by the public because the images shown repeatedly create such a strong revulsion in our minds. Everyone seems to ‘just know’ what these terms mean, but when asked for specifics, every definition is different. Everyone says “I just know one when I see one”. I often wonder why every mother and father isn’t labeled as abusive or cruel because there are news reports of horrific child abuse at the hands of parents. Well, actually I DON’T really wonder, I know. This is because everyone has a frame of reference for a family, understand that there are millions of variations on basic parenting skills, that people love their children and they see this every day their whole lives. The same goes for the common misconceptions about dog breeders and farmers. How many people actually know someone who breeds dogs? How many have been actually visited a breeding kennel or a dairy or hog farm? These groups use inflammatory language that leaves the interpretation up to someone with no experience in the activity in question, use half truths, slang terms, and often use words that are similar but not the same meaning just to leave an unpleasant image in the minds of the public. And when someone who actually IS a farmer or a dog breeder tries to explain the truth or the science, the animal rights groups say things like “they are lying, because they have a financial interest in the status quo”. That way, real experts are dismissed and their experience and expertise is not trusted. Who’s really lying here? What happened to common sense? Why in the world would a business that needs healthy and happy animals to produce quality meat and milk neglect or abuse their animals? That makes no sense. The same applies to dog breeders, when the public believes the animal rights groups’ propaganda that just makes no sense. A mother dog will not get pregnant or have healthy litters if she is fed poor quality food, or even starved, as some have suggested, so that the breeder can “save money”. Breeding “sickly puppies” is another charge, as if people would actually do that on purpose, come on. “We have no ethical obligation to preserve the different breeds of livestock produced through selective breeding. One generation and out. We have no problem with the extinction of domestic animals. They are creations of human selective breeding.” Wayne Pacelle, Humane Society of the United States, Animal People, May, 1993. Very well said! You are so correct! Thank you! Well, you have stated a number of opinions, which you are entitled. I know this may sound weird to you but I struggle with the word “factory farm”. I don’t know what they are. Is it the type of barn the animals are raised in? Is it size? When 96% of all farms are family farms, I don’t know what it is. Factory farm is used by anti-agriculture people. In regards to the videos that are posted on line, I will first state that I am 100% against any type of animal abuse. Unacceptable. But also understand that many of the videos posted are highly edited theatrical productions. You are absolutely entitled to your opinion about the consumption of animals. I, along with many others, prefer eating meat. And as a farmer, we understand that animals give the ultimate sacrifice, which is why we treat them with respect. And yes, I absolutely do believe that the majority of family farmers raise their animals humanely. These farmers are my neighbors, they go to my church and our children went to school together. Our animals are 6 months old when sent to the meat packer. This is the age they are mature. And I agree also that farmers need to be more connected to consumers. No question about that. And I will say that I genuinely think that our animals are raised humanely. We work directly with a veterinarian, who happens to be our animal care expert. We work with an animal nutritionist, who gives us diets that are superior to anything I feed my family. I agreed to post your comments and you are entitled to your opinion, as I am mine. Where I draw the line is when people make incorrect statements. That’s when I stand up and say “you’re wrong”. Thank you for your comments. But where does the quote “96% of all farms are family farms” come from then if factory farms are considered a fictional thing to agricultural people? How do you know if 96% of all farms are family farms if there is no such thing as factory farms? That’s my last question and I will leave your blog alone =). I appreciate you keeping this open and actually posting my comments! Here is the website to the 96% of farms are family farms. It comes from the USDA. http://www.nifa.usda.gov/nea/ag_systems/in_focus/familyfarm_if_overview.html And I am all about conversations! As long as people are respectful, I will talk. And take my word for it, there really is no such thing as factory farms. It’s an “emotional” term and that is why anti-agriculture people use it. What kind of farms are the last 4% then? My guess are the 4% that are owned by corporations. It’s a little deceiving in the ag world. For example, our farm consists of my husband and I. We do have 1 full time employee as we have no daughters active on the farm right now. But our farm is also incorporated. We incorporated in 1998 because there was some business advantages. Nothing changed on our farm when we incorporated. Our farm name is CW Pork, Inc. So it can appear that we are a “big ag” corporation, but we are a small farm, owned and run by our family (husband and I). We sell our meat to Hormel through a marketing contract, but they have zero stake in our farm. In fact, we could change who we sell our meat to. The marketing contract just says the type of pigs we raise, how many we raise, the determined price structure and when the pigs are ready to sell. I know of no corporation (other than family farm corps) owned hog farms in our locality. I do know that Hormel owns pigs in another state. That would be an example of the 4%. 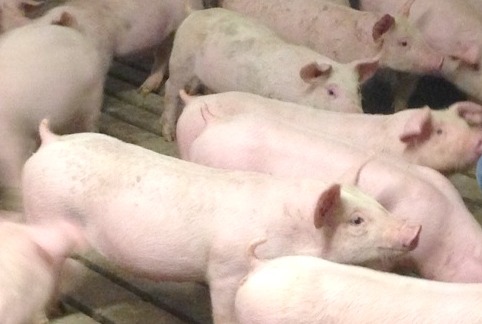 So 96% of hog farms are family farms….that may be a fact. But are you aware that the vast majority of animal products people eat do NOT come from family farms? Just because there are more family farms out there in sheer numbers, does not mean they are producing what most people eat. According to the Worldwatch Institute, as of 2006 74 percent of the world’s poultry, 43 percent of beef, and 68 percent of eggs were produced by factory farms. Due to the nature of family farms treating their animals more “humanely”, they simply can’t keep up with demand, hence the reason for factory farms existence. I guess I am curious on what your definition of factory farm is? Is it based on how they are raised or size? I would love to believe that the way you raise your livestock is the norm, and possibly it is the norm on a family farm. However, the Rolling Stone article does expose an ugly side to “big” farming that is hard to ignore. One abusive farmer that was recently exposed was called Weiss Brothers farm. Sounds like a family farm, but is not. As a consumer, I welcome both this article and the Rolling Stone article in helping me make an informed decision about where I buy my food. When agriculture steps in and convinces government that it should be illegal for workers to film undercover, then they obviously have something to hide. I’ve seen too many videos to know this is true. The farmers that allow people in to expose what they are doing right certainly tell a different story than what is exposed in Rolling Stone. Unfortunately big agriculture is where the majority of meat is coming from and the consumer needs to start finding the family farms such as yours, or think twice about the “cheap” meat they are consuming and the cruel abuse suffered by the animals prior to their consumption. Thank you for your comments. I am not sure if I agree with everything you say. Our meat packer is Hormel and I believe the vast majority of their pork comes from family farms like ours. I know they have some farms they own themselves but most of their pork comes from family farms. It’s easy to throw out the terms “factory farms” and “Big Ag” when in fact 96% of the farms are family owned. Personally, I have a problem with someone who videos animal abuse and then sits on it for weeks or months to edit it as a theatrical production. The abuse should be stopped immediately. That is the only humane thing to do. I do see where you are coming from in that it looks like there is something to hide. As a farmer, I would just want the abuse to stop immediately. Thanks again for your comments. Great post Wanda! It’s so important to respond to outrageous articles like the one published in Rolling Stone. That article made my blood boil because it’s so inaccurate! I’m a dairy producer in Ohio and recently wrote a blog responding to this same article at http://thedairymom.blogspot.com/2013/12/is-farm-animal-cruelty-common.html. I added a link to your blog on my post so people could hear your perspective as a hog farmer. Thanks! Thanks Brenda! I put a link to your blog also! Hello, and thank you for this very insightful post. I was one of the many haunted by the RS article. I find it very sad, but knew that like any story, there is more than one side. I’m very glad I found your site. One question I do have is the ratio of family farms vs. big farms, in your opinion? What are the odds that a grocery store from a super Midwest chain like Meijer has the same quality standard of meat as you describe? What about in the east coast in more built up areas such as New York City? It just seems strange to me that there seem to be essentially two different types of guidelines in the industry pending if you’re a “major” farmer or not. Thank you for your comments. It really isn’t a Family Farm vs. Big Farm. It’s not an either or. Some family farms can be big. 96% of all farms are family farms and that comes from the USDA. It is of my opinion that all the hog farms I know raise their pigs similar to us. I live in the #9 county in the U.S. as far as the number of hogs raised and nearly all of the other farms are like ours in the sense of genetics, pig care, vaccination program, veterinarian care, etc. And I don’t think there are two different types of guidelines in the industry. If you are referring to the video I can tell you that organizations such as HSUS and Mercy for Animals are very experienced at producing theatrical videos – literally taking many hours of video and editing it down to just a few minutes and showing just what they want it to show. On the other hand, I am outraged at any type of animal abuse – there is absolutely no excuses. So any videos of animal abuse is unacceptable. The bottom line is we want a healthy animal because we can’t sell our hogs if they are not healthy or injured. There is absolutely no advantage to have unhealthy or injured pigs. We sell to Hormel and they will not buy our pigs if they don’t meet a certain standard. Those pigs that don’t meet the standard go to a secondary market where we are paid significantly less. So we do everything we can to make sure our pigs are and stay healthy. And this goes for all other hog farmers, big and small. I would love to go into more detail on what we do to raise healthy pigs if you care to know. Thanks again for the questions and comments. Love talking about what we do and why we do it! Excellent Article! I only can hope that it gets seen as much as I have seen the rag article. Beautifully written and shared on face book. Hello – What I find puzzling is why there’s such attention paid to insist that consumers/readers define “factory farm” while the industry may at its whim generalize what “cruelty” and “abuse” is. Seems that when animal ag describes what’s done to these beings, everything becomes acceptable under the guise of “standard practice”. Animal ag also keeps insisting that unhappy animals don’t “produce”. And yet… We know historically that females interred in the worst conditions in Auschwitz and other “camps”, still gave birth and still had their menses. That’s what seems to be one of the most important functions for “food animals” to continue. So in the case of all those victims, it’s evident no one was really “happy” in spite of reproducing. It becomes evident that animal ag’s use of language is just as, if not more-so, exaggerated and inaccurate as you claim the activist’s language is. So where does the orchestrated, for profit and/or personal gain, killing of healthy, sentient beings fit into the “kind” or merciful act of slaughter? Of course this mis-use of the word is even more evident the more we learn of nonhuman sentience and the beautiful fact that man does NOT require flesh or animal secretions in order to thrive! In this light it’s baffling how anyone could claim that it’s animal-right’s activists and vegans who are misusing language. Please… Look to your own attempts to pretty-up your words – I think you’ll see your industry is full of misleading and dishonest verbiage. And don’t even get me started on rancher’s claims to “harvest” the animals. I am choosing to publish your comments, even though we may not agree. That’s okay because we need to have the conversation. And thank you for being respectful. I personally would rather the word “factory farm” be dropped completely because I don’t even know what that means. So if we can’t define it, let’s drop it. Factory farm is only used by agriculture’s adversaries. You never hear farmers talk about it. And just for the records, I don’t use the word “harvest” the animals. It’s apparent to me that you don’t agree with using animals as a food source. Even with the disagreement, I do hear what you are saying. And you are entitled to your opinion, as I am mine. I happen to believe it is okay and I know that our animals give the ultimate sacrifice and we treat them with the utmost respect because of that sacrifice. I believe we show compassion, tender and kindness towards our animals. We will be out in the barns caring for them at night and on holidays if they need it. My husband has missed Thanksgiving dinner because our pigs were sick and he needed to be with them. I think this is a case of agree to disagree. And that’s okay. I do appreciate your comments. Thank you. Hello and thank you for the opportunity of dialogue. I don’t know that “factory farm” can’t be defined. I think Wikipedia does a pretty good job at it: “Intensive animal farming or industrial livestock production, also called factory farming, is a modern form of intensive farming that refers to the industrialized production of livestock, including cattle, poultry (in “Battery cages”) and fish in confinement at high stocking density — a practice typical in industrial farming by agribusinesses.” This seems accurate enough – Yes? And I believe the reason ranchers and operators don’t use the term is because it rightly has negative implications. But that they don’t use that term doesn’t change the reality of the facts. Again I have to respectfully challenge you in your comment that “animals give the ultimate” because that isn’t true either is it? They don’t “give” anything – Especially not their lives. Their lives, their most valuable possession is stolen from them. We do this because we can overpower them… We take by force. They do not “give” anything willingly. You also can’t treat someone with the “utmost respect” while you are using them for your own ends with an ultimate plan of dis-respecting their lives by killing them. You see why I have these problems with your choice of words… They just aren’t accurate or honest. Finally this disagreement isn’t as trivial as if we were to be at odds at who’s the best athlete, or what car is better built, or what color is the most attractive. These arguments don’t involve third parties. Since there are victims in the mix, this becomes much more serious than an issue that can be reduced and discarded as mere “opinions”. I suggest that if you put yourself in the place of that pig, cow or chicken who’s life was about to be ended, you’d very much want someone to speak loudly in protest of the injustice. It honestly is a simple matter of empathy and living by the Golden Rule. Surely you’d want this for yourself. Can you really deny it to others who value their lives as much as you value your own? Thank you for a civil exchange. I do appreciate the civil exchange. But it’s pretty apparent that we are not going to agree. I don’t believe in animal rights. I believe in the well-being of animals. Wikipedia is a source I never use as a reference – it’s not credible. And you think I have been indoctrinated and I never question our practices? With all due respect, that statement is not even close. We have been raising pigs for over 35 years and we have made numerous “pig care” changes over the years – all of them reflecting better care for the pigs and the farmer. I know that I will not change your mind, as you will not change mine. But I do appreciate we can talk respectfully – we need more of that in our world. Great response Wanda. Thanks for writing it! : a large industrialized farm; especially : a farm on which large numbers of livestock are raised indoors in conditions intended to maximize production at minimal cost …I am not a framer but I do live close to something I speak of as a “factory farm”. The air is polluted and our water has been affected. Most folks do not find living next to a factory farm to be pleasant. I object to the shared resources that are negatively impacted by this kind of “farming”. Raising animals above their own excrement is not good for anyone. Thanks for keeping these conversations available for others to see. I know nothing of your farming practices. I know that I have done plenty of research about factory farms and I do not like them. Thank you for your comments and your respectfulness. The dictionary definition of factory farm is really vague. A large industrialized farm – it’s relative. How do you define large? How do you define industrialized? Is it a barn? Is it size? Your next statement – “large numbers of livestock are raised indoors in conditions to maximize production at minimal cost” Just a couple of comments. Living in Minnesota, there is a reason we have pigs indoors. Just take the past few weeks of weather as an example. We have had record cold, winds up to 60 mph, snow and ice. Hogs outdoors in this weather is a sure way to suffering and death. In addition, the genetics of our pigs does not allow them to live outdoors. They are a long, lean pig with not much fat to protect them from the harsh environment. And why do we raise these type of pigs? Because this is what the consumer wants. Lean and high protein pork. Another point – it is illegal for farmers to pollute water and air. And living above their excrement does happen – we have cement manure pits. To counteract the manure odors and gases, We have fans that keeps the air fresh. Our goal as farmers is to have the healthiest pig possible. If our pigs are not healthy, our meat packer (Hormel) will not buy our pigs. If Hormel does not buy our pigs, we need to sell them to a secondary market, where we would receive significantly less money – not enough to pay the bills. You are entitled to your opinion, as I am mine. I can assure you that we work hard everyday to raise healthy pigs. Thank you for the conversation. Your reference is wrong! It says nothing about hog farms? The fact is your reference was from 2007….it is now 2014. You obviously haven’t read the rolling stone article. There is clear evidence of horrific animal cruelty in all of these factory farms. Now you do say that 96% of hog farms are family owned but in reality what is in most of what we eat in restaurants, fast food joints and supermarkets are big corporate owned factory farmed meat that operate on a huge scale compared to those family owned farms that might slaughter and produce a hundred hogs a year. There might be only a few of these big corporate farms but their size is collossal compared to the family owned farms. Did you see any of those clips and photos in the article? They provide physical evidence of the terrible torture that takes place in factory farms. Cows just left to rot in their own waste. Open wounds dripping with puss. Unable to stand from the horrible conditions they’ve been kept in their whole lives. They are put through hell their entire lives and your trying to just dismiss that by saying the article is false and these animals are actually treated well? Open your eyes and look at the audacity of what is happening in front of you. Josh, I am approving this message only to point out that what you are saying is to only appeal to people’s emotions using falsehoods. I am a hog farmer. I live this life everyday. And our animals are not mistreated. I do have videos on my blog. The difference is mine are not a professionally edited theatrical video. The meat that restaurants do come from family farms. If you say otherwise, I would like to see credible resources to back up your point. In fact, I live in an area with a high hog population and I do not know of any corporate farms – only family corporate farms. I ask that you reach out to farmers, including myself, to get the information directly from a farmer and not a video whose whole intent is to raise donation dollars. I am so glad you published Josh’s comment – and I envy your ability to respond rationally. Josh is an example of how effective propaganda can be. I personally know people who believed in the most deadly organization ever in world history because propaganda was so effective (my parents both served in WWII). There is a growing anti meat/dairy “industry” – yes, it is Big Business, bringing in huge money – HSUS proudly proclaims that they have an annual budget of $150 MILLION to destroy animal enterprises through any means possible. This RS hit piece will bring in a lot of donations. Josh is typical of a generation of young people searching for a cause, who are vulnerable to this kind of propaganda. Animals are the easiest, because people really DO care, and no one supports cruel treatment of any animal – especially the cute ones, the interactive animals like pigs and calves and puppies. Really, how many people does Josh know, or even know “of”, who routinely behave like the people in those very disturbing video clips? I wonder if Josh has read any of the comments here – probably not. How many farms has ne visited, or even communicated with? Has he viewed any of the links, videos, research, that so many thoughtful people have posted here? Does he know how many hours of raw footage was taken to find the few minutes of cruelty? How many farms, how many weeks, months, even years? The very nature of “undercover” groups like MFA is dishonest, and they hide behind excuses typical of things we all hear on TV cop shows, about “protecting their sources”, they can say anything they want about how the footage was obtained. One judge in Ohio is famous for dismissing MFA charges against a dairy farm because he demanded to see 100% of the raw footage. The activist was discovered to be encouraging the low level workers to hurt cows, and apparently he paid them cash, too. HSUS International years ago was found to have paid an very poor, uneducated, barely literate seal hunter to skin a seal alive while they filmed it. Horrible, but who was more guilty of cruelty there? It must be very hard to hear what so many people believe these untruths, these manipulative media pieces. Do these believers realize how much money is on the line here, and how much more expensive their food will be because these vegan organizations evangelize, proselytize for THEIR beliefs? Yes, size of farms is a significant factor in efficiency, safety, animal health – and cost of food. Although there is nothing wrong with choosing to be a vegetarian or vegan as an individual, there must be some tipping point, where the earth cannot support any more vegetarians – growing animals for food is a necessary part of the cycle of life. Even plants “eat” something, usually something produced by animals, it’s simple. Something must die for something else to live, and if we tip the balance too far in one direction, disaster. People like Josh and most other animal activists live in what the media calls a “bubble”, an echo chamber, paying attention to only what they already agree with. Fox News is successful because the network reinforces people for agreeing with their prescribed views, and if anyone who disagrees with the network’s views is allowed any air time, it is only aired after editing, and then the network pundits tear apart the opposing views without any chance for rebuttal. Anti-agriculture social media pages are notorious for blocking any true discourse, discussion, never let any opposing views stay on their sites for long. Moments, and then the poster is blocked. That’s why I really appreciate you allowing respectful opposition here! The thing about propaganda is that it has just enough reality, a grain of truth, to make a point, convince people without first hand knowledge of animal husbandry that cruelty and abuse is common. Control the message to control the outcome. The people in those horrific videos are breaking the law. Did the videographer encourage it? Most importantly, did he report it, try to stop it? No, he rolled the camera, and took the footage back to edit it. What proof do we have that the end product was “real” or not? 1. You’re basically indicating it’s ok to have large farms that treat animals poorly in order to keep the cost of food down. I hope you visit these large farms to see what you’re eating. If you believe all animal activist videos are edited to look a certain way, what about pictures? There are thousands of photographs out there showing the same thing over and over again. Hundreds/thousands of farm animals living in extremely close quarters, farm animals living in cages, diseased and injured farm animals, etc. 2. A tipping point where the earth can’t support any more vegetarians? Please consider the amount of environmental havoc created from raising and killing billions of animals each and every year. I don’t believe plants create greenhouse gases and entire lagoons of waste. It also takes significantly more water and land to produce 1 pound of meat compared to 1 pound of plant protein. 3. Even plants “eat” something, usually produced by animals? I do believe you should look up how plants grow. All do respect, your incredibly long response sounds somewhat intelligent….but have you actually looked at environmental effects of animal agriculture? Or do you prefer to ignore it because your taste buds are too accustomed to animal products that you don’t even want to consider it for fear of needing to change your habits? And this make believe world where the majority of farm animals are treated humanely is just unrealistic. You can tell yourself what you want to help yourself sleep at night, but the proof is out there….and the billions of animals killed year after year are waiting for you to wake up. Hi Angie – I don’t know you but I know your thought-process, your critical thinking, your adherence to consistency and I share your thirst for fairness. I support everything you say. Thank you. There is a very big difference between animal cruelty and the deaths of “billions of animals killed year after year” waiting for me to “wake up” – wow, that is nonsense to beat all. But, I know where it comes from, it is a statement directly from the animal rights movement, I’ve heard it a million times. Here’s the truth of the matter – animals die horribly, violently, by the billions to raise grains and vegetables that are the staples of the vegan diet. So claiming that the reason many say they want to be a vegan is that they don’t want to kill animals is misguided. Not only do small, mostly invisible, animals like mice, voles, rabbits, ground nesting birds and so forth die horrible deaths in the process of planting and harvesting, but the incredibly vast acreage needed to feed a relatively small number of people, grow enough calories, pushes out the natural habitats and destroys the natural food of much more visible animals, deer, wolves, bears, birds of prey, a long long list indeed. And if you have any sense of the same kindness to humans as you claim for animals, you will consider the parts of the world where growing plants for food is almost impossible, and animal protein from meat and milk prevents starvation. Animal grazing and digestive processes turn cellulose into food for humans, prepare the ground for the growth of those same plants, it’s not rocket science. Just a reminder – I am not a farmer. I am a city dweller, but I have wonderful memories of vacations on family farms – uncles and cousins’ dairy farms, and a hog farm in Iowa – places where I learned that it is certainly possible to love and respect animals, treat them humanely, with kindness and compassion, and also kill them for food. This is not hard. You are free to avoid eating animals yourself, but please allow others to make their own decisions without twisting their words and accusing them of what is essentially, a crime. I will simply interject that our two worlds will never be on the same page. Animal rights, which you clearly are, and livestock farmers, which we are. You will not convince us and we will not convince you. I think it is best to leave it as is and there is no reason to continue this discussion. Sigh . . . hopeless. I am not surprised to find you advocating for a vegan society – and I now know where you are getting your ideas. You are reinforced by others of similar beliefs, lack reading comprehension (a B12 deficiency?) and clearly threatened by opposing views – boilerplate PeTA rubbish. What disturbs me most is the misanthropy and self loathing. You indicate lack faith in humanity – which holds the keys to prevent suffering of living things and the RESPONSIBILITY to use those keys. Some of your comments, Angie, are quite hateful, particularly dismissing the suffering of human beings in some parts of the world, typical PeTA philosophy that tells us that humans are a ‘scourge on the earth.” Your overly simplistic views don’t take into consideration 2/3rds of the world’s human population, who don’t have the time or resources to live according to a vegan ideal – go tell an indigenous tribesman near the arctic circle that he needs to feed his family on vegetables and grains. Is he going to shop at the neighborhood Whole Foods? A balanced diet takes a lot of work and time, and also can be very expensive, especially with the necessary supplements. I do believe in reasonable discourse, but not in wasting time and space on someone else’s blog by beating a dead horse. (There is often more value in these debates for other readers, especially since I know I will not change your mind.) For you to tell me that I should learn how plants grow is just ridiculous. You haven’t heard of fertilizer? You seem to close your mind to understanding the most basic foundations of life on earth. Nutrients in soil are composed of the bodies of a host of dead animals and plants, blood, bone, insects and waste products. It’s quite a self perpetuating system, this “something must die for something else to live”, really amazing in its complexity and beauty. I hope you do read Ms. Keith’s book, it should help you avoid suffering dreadful cognitive dissonance. This isn’t my page, it belongs to a very thoughtful, kind, patient and intelligent hog farmer who should not have to endure these attacks on her integrity and calling her – although indirectly – terrible names and suggesting that she is lying. I don’t want to speak for her, so I will no longer respond. I would suggest re-reading the above paragraphs, starting with Josh, and see who is the one making the most hateful comments. I will no longer respond either, as clearly you are someone who will never consider the benefits of a world that consumes less animals. PS. I don’t shop at Whole Foods. Obviously you are not a farmer. Most farmers contract everything from livestock to crops. We need to make a living as does everyone. Just because a product is contracted does not mean we are not family farmers. We work our asses off everyday no matter the weather or how we feel. We take pride in the work we do and hope to pass down what we work for to our children and make a better life for them. Now I am not complaining about farming being hard, because this is the life we chose. I love what I do. However I am so sick of the haters out there who want to bash what farmers do. Just because my end product is contracted does not mean I sleep in our get to go to bed early. When my girls are farrowing I sleep in the barn for their first days. I am out side de-icing waters in the middle of the night in freezing temperatures. I am manuring pens when I could be in the house watching the latest episode on tv, I give my animals the best care. I do that not only because I am human and have compassion, but also because if my animals do not grow well or get sick, I make no profit. I have to do everything in my ability to keep my animals from getting sick, hurt, or dying. Do you know why? I do this for a living. If I have nothing to sell, I then have no money. To all the non livestock farmers out there it may be hard to believe, but we livestock farmers out here actually want our animals to make it to market! Hello – I’m terribly confused! On one hand you say you have “compassion” for the animals in your charge… And on the other hand you say you want them to make it to the “market” (to be killed). Which is it? Do these pigs represent a bottom-line-profit for you – Or are you “compassionate” and want to see them continue to live? You just can’t have both. For the record: Synonyms to compassion are: commiseration, mercy, tenderness, heart, clemency. See sympathy. Are you saying you can send your “girls” off to have their throats slit and still have “mercy”? Thank you for a reply. I know this probably doesn’t resonate with true animal rights people, but yes, you can have compassion and still send them to market. They are a food source, but we treat them with respect and care as long as they are on this earth. And yes, we do need a profit because we have to put food on our table also. This statement will never appease any animal rights person. Its very much a case of agree to disagree. End. I believe in animal welfare not animal rights. I feel anyone can choose to eat anything that they want. If someone wants to be vegan or vegetarian, go ahead and do so. I do not understand their need to change my desire to eat meat. I am not trying to push my beliefs on you. I do not understand your need to condemn my beliefs. Also I do care for my girls. I treat them well. When it is time for them to go to market I am fine with that too. That is what they were born to do. They are fulfilling a great purpose. Putting meat on my table that I raised is great, as is putting vegetables on my table that I raised. Knowing that other people are fed by the work that I do gives me pride. At the end of the day I feel animals are meant to feed the world. If you are not going to raise them to eat them, they might as well not exsist anymore. I can’t agree with you more, Nikki! Great response! So, I do understand where you are coming from as a farmer, but what you need to realize BEFORE you write things like this is that 98% of the meat consumed by Americans comes from factory farms. NOT local farmers. The animals in these factory farms do live in deplorable conditions, and are raised completely inhumanely. I have large animals of my own, and I’ve lived in the country, around farms my entire life. I know how livestock SHOULD be raised, and factory farms certainly do not do that. They should be pasture raised, eat their natural diet, and live a normal life up until the time they go to slaughter. They should be sent to slaughterhouses that are animal welfare certified. The reality is that doesn’t happen with factory farming. Antibiotics are used in the feeds routinely, because if they weren’t that number of animals would never be able to live confined in such a small area together. Bacterial infections spread very easily and quickly. If the antibiotics weren’t used we would see even more cases of salmonella, E.coli, campylobacter, and listeria. I am a Veterinary Technician I do know how disease works. 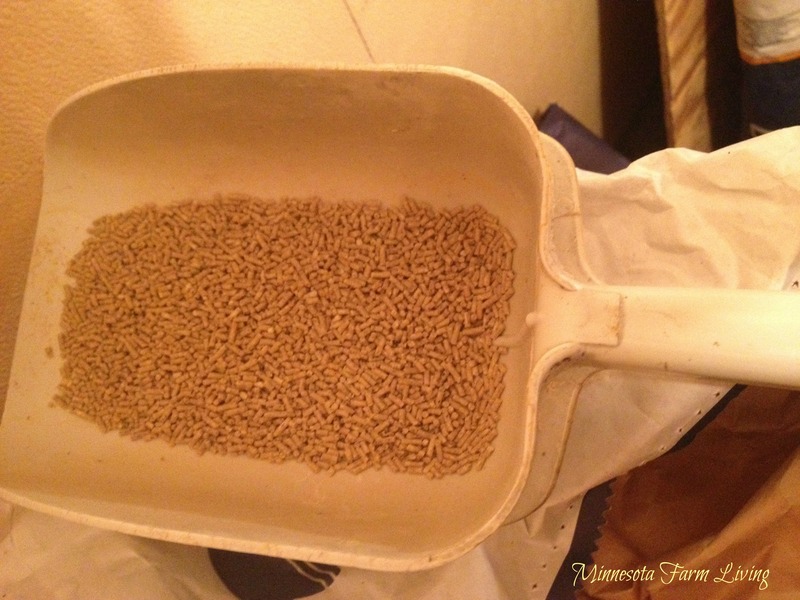 I am sure that you do take excellent care of your livestock, but you aren’t a CAFO (concentrated animal feeding operation). Every book and every documentary about factory farms, stock yards, and slaughterhouses are not lying. I have seen the horrors. The cruelty is out there, and it is real. The Rolling Stones article may have stretched the truth, but they weren’t wrong. I am glad animal abuse outrages you, but right now I think you are angry with the wrong people. Be angry with the industrial farm market for turning what your family does for a living into an abusive situation, but don’t be angry at the people reporting the abuse. Once again the article wasn’t about local farmers, but about factory farms. There is a difference. Thank you for your comments. I disagree with much of what you write. So called “factory farms” are owned (95%) by family farms. Ours included. You say I am not a CAFO? But our animals are raised in confinement barns because weather conditions in Minnesota can be deplorable. You say animals should be raised on a pasture. Our winter was cruel. Many, many days with sub-zero temperatures, winds howling and blizzard conditions. How can that be good for animals? And what are they going to eat? I feel you talk about ideology but not reality. Our animals are given clean water, fresh food, temperature controlled and individual care when they are housed inside. I have a number of related posts on my blog that you can peruse about our farm. I do hear what you are saying and it would be nice to live in a world that you talk about. But that is a fantasy. Even though our pigs are inside, we take pride and give them the best care we can. It’s not about what proportion of farms are family or factory farms. It’s about how much is produced in each type. If 96% of farms produce 20% of all meat, there’s still 80% of meat produced by factory farms in a very inhumane (funny that we humans say that) conditions. We’re talking here of a market of millions of hogs. And sorry but it’s not possible, same as relocation has procured big corporations big bucks by reducing costs, factory farms have also less costs by concentrating thousands of animals being fed all kinds of garbage food, pushing family farms almost out of business. So these family farms, either adapt and reduce all this kindness to animals you’re talking about or close shop. There’s no other way. Can you compete with Tyson Foods, to name one of these big ones? Coincidentally, Mac Donalds and many other big chains have Tyson Foods as main suppliers. Who are you selling to? How much does it represent in overall meat business? Interesting comments. The statistic is 96% of all so called “factory farms” are family farms. And these “factory farms” do not feed their animals garbage food. They use animal nutritionists who determine a diet specifically designed for the animals. 98% of the diet is corn and soybean meal. In fact, on our farm, we feed the corn we grow right across the road from where we live. JC, there is a lot of misinformation on the internet in regards to farming. That’s why I blog and why other farmers blog. Who better to get the real story from? This is just an opinion website about a farmer that does not want to lose his business. If you look out into the world you would realise how big a problem animal abuse is and it shouldn’t just be played off as something small. 97% of all animals killed in the U.S. each year are from us wanting meat to eat and people killing animals. That shouldn’t just be shaken off as something that isn’t a true problem. If you want reliable information about animal abuse don’t use thins website because it is just a farmer trying to keep his business. Actually this website is about my farm. And I am a “her”, not a “his”. I do thus because so many people don’t know what we do on the farm. I am here to share what I do and answer questions people may have. If you are against eating meat, we live in a wonderful world where we have choices. If you have any questions, I would love to answer them. there is no need to correct much of the information. its about FACTORY FARMS not FAMILY FARMS. everyone knows that animals are treated very well on family farms. personally, I do think that factory farms are a little more careless but rolling stone overdoes everything so no one ever takes it seriously. so quit trying to correct what isn’t about your family farm. The author may be a hog farmer, and a moral one at that. i don’t argue that point, but i think Rolling Stone was specifically going after the large scale ‘factory farms’ that keep lagoons of their feces that can and do spill into the surrounding land and ground water, and those operations. This article is a single example of better way to do it. I doubt that larger systems are as kind as the the author’s particular setup. I would love to! How do you want to proceed? Hi! I live in Texas and I’m on an Agriculture Advocacy team for my high school FFA chapter. We’re using your article as well as the Rolling Stone article to write our script for contest. My main focus for the script is false media portrayal of agriculture and what we can do to protect our industry in the future. If you’d be willing to talk to me that would be amazing! Thank you! I find your response to the Rolling Stone article absurd. Many people never spend a second thinking about where their food comes from, and there is an awful lot of horrific behavior that happens in the meat industry. Why on earth would you not want people to know about it? ESPECIALLY if you are humanely raising your animals, why would you attack an article that is essentially supporting what you do and condemning those who not? I think you should investigate your reaction to the article because I think it is misguided. The more information we have about where our meat comes from (and how those animals are treated when they are alive, good or bad), the better. Shame on you for being a proponent of ignorance and complacency. Well, I guess we don’t see things quite the same way. What is your source for all the horrific behavior that happens in the meat industry? I am not saying there isn’t abuse, but it’s it’s a very small percentage. But, unfortunately, the article makes it seem that it is happening everywhere. And it’s not. And I think those that are abusing animals need to be reported immediately and action taken. Abuse is never okay. That’s why I like the program SeeItStopIt (www.seeitstopit.org) which requires people to report abuse immediately and not videotape it for weeks and months. And I also believe transparency is important. That’s why I blog. I want to show the truth about what happens on our farm. Hello, Wanda. I know it’s been a while since any comments have been posted here, but I’ll try anyway. I’m an Animal Rights Activist, but I have no interest in insulting you or disagreeing with what you say. I only desire information. How many farms do you contact on a yearly basis? Are you aware of other farms’ conditions, especially conditions of those you compete with? Since the definitions of “family” and “factory” farms are, from what I understand of you, interchangeable, (I’m very confused by your and everyone else’s use of these terms) am I to assume there is no difference, in your opinion? One last thing, do you believe livestock food regulations, like not putting antibiotics into livestock feed, are strictly or arbitrarily enforced? The RS article says that things like putting antibiotics in feed is poorly investigated, not that it isn’t illegal. I believe that your meat must pass an inspection to be sold to Hormel (although how rigorous this inspection is is another mystery as of yet; I can only attest that the quality of the meat upon tasting it, compared to “local meat”, is sub-par), but the food that is considered edible by the FDA often isn’t good quality, so trusting your meat passes “top-grade” inspection offers little comfort. You’ve done well in disclosing knowledge of your own farm and some other farms who operate under acceptable conditions, but what do you know of actual mistreatment? From what I’ve understood, you do know it exists, but you say it is “rare”. Do you say that because you haven’t done thorough looking into it (no accusations here, living in the city I’m forced to reach out to farmers like you for these answers), do you say it because of government statistics, or some other reason? I don’t think I would have more knowledge about it than someone in the business but it’s hard to believe you would have knowledge of working conditions in all places throughout the country to gather sufficient evidence that animals are being abused rarely in the meat industry. Thank you for your time. It’s hard to find scholarly articles on the meat trade, but I’m continuing the search. Sorry, I guess I had more questions after “one last thing”. I should read over my posts more carefully before sending them. Hi Autumn, I am going to do my best in answering your questions. And I appreciate the respectfulness of your comment. As far as being in contact with other farms. I can only talk based on my experiences in raising pigs. Because biosecurity is so important in raising a healthy pig, pig farms limit traffic into their barns. We do the same. It’s not that we are hiding, it’s because we want to keep our pigs healthy and limit the ways viruses and illnesses can enter in the barns. I do know the barn building conditions for the pigs raised in my area. And by the way, I live in a county where nearly 2,000,000 pigs are sold yearly. And there are very, very few old dilapidated barns. And to be honest, I can’t think of one as I write this. Nearly all barns are built with technology that allows farmers to adjust for air flow and temperature. I am not sure what you are asking about farm conditions but I know the physical barns themselves are very good. And you mention other farms that we compete with. I never look at us competing against other pig farmers. We have a market that we sell to and our meat packer requires a certain type of hog, such as size and genetics. So we actually compete with ourselves in a sense. Our goal is to raise the healthiest pig possible because if our pigs are not healthy, our meat packer will not buy them. What happens then? We sell them to a secondary market and receive considerably less money. Yes, we do need to make a profit because we need to put food on our table. So we try to raise the pigs in an efficient way by providing good animal nutrition and good pig care, which we work very closely with our veterinarian. Here is my issue with “factory farms” and “family farms.” I can understand why you may be confused. 96% of farms are owned by families. Some are big and some are small. From where I live, families are in the barns every day providing care for these animals. And these are people I know. They are my friends or my neighbors or people that go to my church or are parents of kids my kids went to school with. When I hear the word “factory farm” I feel like it takes away the “people” component of raising pigs. I feel like when people hear “factory” they think of a cold environment where the only goal is to produce the most widgets at the end of the day no matter what it takes. And you don’t think about the people who work with the animals and truly care for these animals. I feel the term is intended for people to not think about who work tirelessly giving animal care. This is my opinion. So that’s why I don’t know what a factory farm, but I do know what a family farm is. I hope this makes better sense. And yes, Hormel has USDA workers at their site at all times and one of the things they test is antibiotic residue. Here is the thing. If we give an animal an antibiotic, we have records of who received, why and when. We then follow the label for withdrawal periods to make sure we don’t sell the animal until after the withdrawal period. This is a line we will never cross. Again, if we sell animals with antibiotic residue, Hormel will not buy our hogs ever again. And when you farm, you need a market. And besides that, we eat the same animals we sell so we would never want to do anything that would harm us or our customers. I guess I don’t know what you mean the meat that passes FDA isn’t good quality. I have no problem buying any meat from my grocery store. So what do I know about actual mistreatment? I know it exists because of some of the videos. Although I do know there is sometimes another side to some of those videos. But I give no excuses for abuse. There is absolutely no place for abuse. Never. No, I don’t have access to every single barn to monitor for abuse. But then I don’t have access to other people’s homes either to look for abuse. We have programs in place such as PQA to teach farmers and employees best practices (such as proper antibiotic usage, animal handling techniques) which would alleviate some frustration that may happen when working with animals.In fact, Hormel requires all of their suppliers to be PQA+ certified. I really feel everyday we get better. Our farm is run much better than it was years ago. Are we perfect? No. But we wake up everyday figuring out how we can do things better. Again, if you look at the commonsense, there is no reason to abuse the animals. These animals need to be healthy when they are sent to market. Abused animals are not healthy. So why does abuse happen? Unfortunately, we are humans and we aren’t perfect and sometimes people lose their tempers. But programs like PQA help teach animal techniques to alleviate the frustration that may sometimes happen. I know this reply was long but I am really trying to be as transparent and honest as I can be. We truly don’t have anything to hide and we constantly think about ways that we can tell our story. Hi Wanda, I do love your insight and perspective as a farmer, and I appreciate it. This Rolling Stone Article was making a horrible generalized statement about farms. But, even though most pig farms are family owned, the amount of pig sold in the US as well as South American and Latin countries is about 95 percent. NPR, GreenPlanet, and NPA report close to this number. While the amount of family farms is more than factory or corporate ones is larger, they also produce much, much less. I would hope that you did not take to much offense, as Rolling Stone is not a credible source, as they did not cite where their research came from.